Teams from the neighbouring central Anatolian cities of Kayseri and Sivas had started the 1967/68 football season strongly, each winning their first three games before they were set to meet in an eagerly awaited crunch match. Mutually insulting slogans were daubed on the trains that travelled between the cities ahead of the game on 17 September 1967. A ten-kilometre convoy of vehicles made its way from Sivas to Kayseri on the day before the match, carrying 5,000 Sivasspor fans. Kayseri had never seen anything like it. Clashes broke out as the Sivasspor fans descended on the city. On the day of the match, 21,000 spectators crowded into the stadium in a fractious atmosphere. The really serious trouble began after a goal scored in the 20th minute by Oktay Aktan for the home side Kayserispor. "I wish my leg broke and I didn't score that goal" Aktan would later say, quoted in a new book by the Turkish journalist Kenan Basaran – the first on Turkey's biggest football disaster. "Whenever a violent incident happens in football in Turkey people always mention the Sivas-Kayseri tragedy," Basaran told me. "But they don't really know what happened in Kayseri!" Basaran visited both cities to scour newspaper archives and talk to surviving witnesses – many of whom had never had the chance to speak out before. After Kayserispor scored the goal, rocks were being thrown back and forth in the stands between the two sets of supporters. In the Sivasspor end, the crowd began surging at the fences towards the pitch. The leader of a Sivasspor supporter group escaped into the toilet and from there he could see the crush developing. He stepped onto the sink, took off his shoe and used it to fling water onto the crowd to keep them cool, to help them stay alive – but the water evaporated instantly. Husnu Onel was caught in the crowd below. "We were crushed so badly that it would be a miracle to come out of there alive," he would later recount to Basaran. The vice of the crush was tightening, and he began to pray. "I don’t remember what happened after that." The referee halted the match and the players fled to the dressing rooms. When the human tide eventually eased and drew back, it left 40 dead bodies and hundreds injured on the terraces. Most of the dead and injured were loaded onto passing coal trucks. A warm arm could mean a faint trace of life, or it could just be residual heat from the crush. Husnu Onel, who had lost consciousness in the crowd, woke up in the morgue. Autopsies later showed that all the deaths inside the stadium were from asphyxiation and injuries related to the crush. But in the aftermath of the tragedy the state never carried out a comprehensive investigation, and incorrect or incomplete reports appeared in the media. Many football journalists still believe the victims were shot or stabbed. "Because the necessary journalistic work wasn't done, the facts weren't straight, rumours started up and were added to the narrative," says Basaran. No one wrote a full-length account of the tragedy, until now. With the creation of a Second Division in 1963 – alongside burgeoning football radio broadcasting and press, a rise in football betting, and rapid urbanisation – the mass popularity of football was stoked across the far-flung provinces of Anatolia. As the sport was becoming more popular and important in the 1960s, clashes were breaking out at many football matches; an exchange of rocks was not that unusual. 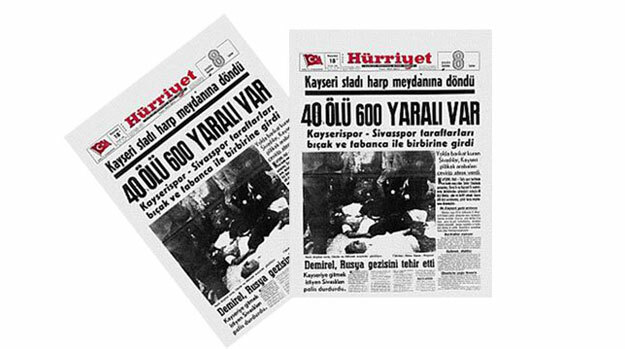 In the weeks before the Sivas-Kayseri disaster, an article in Milliyet newspaper had issued a warning over the rising tensions at football games. Turkish writers have often written more about foreign football disasters than on the biggest disaster in their own country. That may be due partly to the provinciality of Kayseri and Sivas – far from Turkey's major economic and political centres – and also because sport has only become recognised as a legitimate field of intellectual inquiry in the past couple of decades. Another factor could be an understanding between journalism and the state when it comes to covering traumatic events. "Investigative journalism in Turkey is really weak, and it's maybe even weaker in the sports area," says Basaran. "Unfortunately, the media has usually acted in parallel with the state, and the state's attitude towards this tragedy was: 'Don't scratch the wound'. So they didn't." Basaran catalogued security failings by local authorities. Fans were able to smuggle rocks from a nearby construction site into the stadium, security checks were minimal. Only 20-30 police officers were assigned to manage the crowd. When the fans surged towards the pitch, they found that the gates of the fences opened inwards towards the terraces. The authorities also failed to prevent violence in Sivas following the disaster in which property owned by those of Kayseri origin was looted and set on fire. Two more people died before the violence was taken under control a week later. Some officials in Kayseri were sacked, and some in Sivas resigned after the looting there, but no one was prosecuted and the failings were not examined in detail. The authorities brought in some new security measures following the tragedy but if anything violence at football matches increased over the next two decades, although there were no comparable disasters. Basaran argues that, although it is a generalisation, there is also something in the wider culture that colludes in not 'scratching the wound'; a belief that scars are healed by forgetting traumatic events. 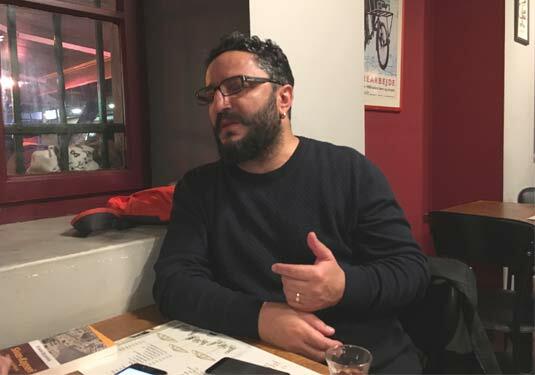 "Individuals, as Turkish people, maybe don't stand up for their rights and the people around them don't encourage them as well, so we can attribute it to not being a proper democracy," argues Basaran. At the same time, survivors were eager to tell Basaran their stories, and many still feel traumatised by the tragedy. One of Basaran's arguments is that 'not scratching the wound' often leaves history unreconciled in Turkey. There is disagreement over the underlying causes behind the disaster. At first it was just treated as an anomaly of pure hooliganism (with security failings glossed over). Some later argued that the disaster highlighted the role of social, cultural and economic factors in the violence. Most major Anatolian teams – including Kayersispor and Sivasspor – were formed in the 1960s through mergers of local clubs in order to pool resources, build a stadium, get the city behind one team, and challenge the hegemony of the big Istanbul clubs. The creation of city football teams in the 1960s also fostered a greater sense of belonging in places that had expanded rapidly under recent industrialisation. Kayseri and Sivas were competing economic and social centres in the 1950s and '60s. Kayseri was wealthier and its people were renowned for its skills in commerce – many Kayseri-origin merchants dominated trade in Sivas. Kayseri also had a large population of Alevis, a religious minority who practice a mystical form of Islam linked to Shi'ism and often associated with the political left, while Sivas is largely a conservative Sunni city. However, Basaran disputes this analysis. Sivas also has a significant Alevi population, and the witnesses he spoke to denied that economic factors or sectarianism were a factor in the rivalry. Instead, Basaran stresses the security failings – and the power of football, and the lack of experience in Anatolian cities with dealing with such matches. "These clubs were formed really quickly but the infrastructure wasn’t really ready for that, so that definitely played a major role," he says. Basaran argues that footballing rivalries shifted from being within cities to between cities in the 1960s. "The local rivalries ended and a new, maybe manufactured rivalry arose between cities. It was actually an artificial rivalry, based on football, nothing else," he told me. However, Yigit Akin – a Turkish historian who wrote one of the first academic articles on the tragedy, published in 2004 – is adamant that economic and cultural factors are crucial in understanding the rivalry. "The tension that preceded this game and the hatred it created in the aftermath is something very unique, and should be related to deeper causes, deeper roots between these two specific cities," Akin told me. "This is not just a simple soccer rivalry." Akin believes that oral history is useful, but after five decades witnesses may misremember the political and social intricacies of the time, or may downplay or deny them due to feelings of embarrassment or shame. "[Oral history] reveals how these people feel today about this disaster. This is important in itself, but it doesn't tell us much about the disaster," Akin argues. Indeed, Basaran struggles with the unreliability of memory and time. There are so many conflicting accounts and contradictory details of the tragedy, both in the media and among witnesses, who simply blame the other side – all he can do is present them and let the reader judge for themselves. He never definitively settles many questions, including who threw the stones first or why the authorities failed to heed security warnings, and it remains vague why, when both sides were exchanging rocks, the crush developed in the Sivasspor stand. Some Sivas-Kayseri survivors still feel rancour and shame, but in general the rivalry has long dissipated. Football teams from the two cities were kept in separate groups by the football federation for 23 years. A match between the two clubs in 1990 passed off peacefully. British football can hardly be self-satisfied or complacent when it comes to justice and reckoning with its disasters, as shown by the long struggle by families of the Hillsborough victims for vindication or the many unanswered questions that remain over the 1985 Bradford City fire. 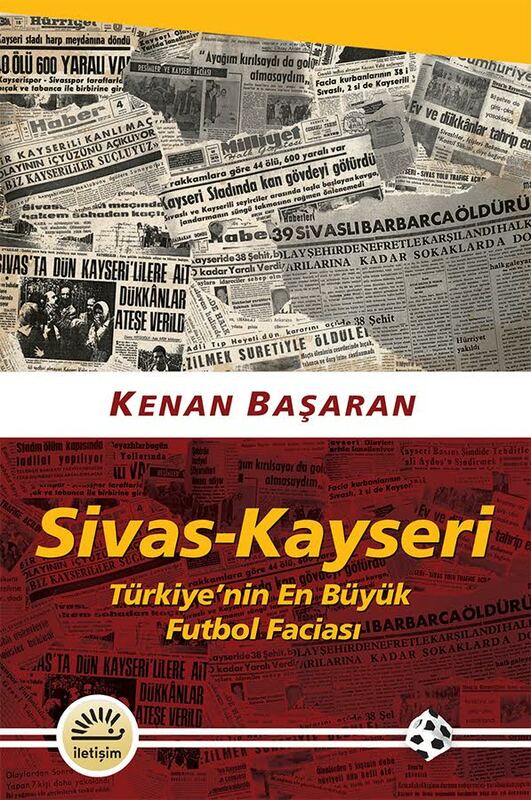 The Sivas-Kayseri tragedy is within this dire tradition of failing to reconcile football tragedies, but Basaran's work also raises questions over accountability and reconciling traumatic events that are particularly pointed in Turkey. Five decades after the Sivas-Kayseri disaster, the Turkish state remains resolutely opaque and independent journalism has been decimated by repression. Basaran draws parallels between Sivas-Kayseri and the way other traumatic events are processed in modern-day Turkey; citing events such as the 2015 bomb attack in Ankara, in which over 100 people died and many questions over security failings remain. "When tragedies or attacks happen, first the state claims that everything will be clarified, that everything is under control," argues Basaran. "But in a week we see that, both in the media and in the government, everything is forgotten." I wish my leg was broken / I wouldn’t have scored that goal then / The path to the stadium turned into the path to hell / 40 dead, lots of injured / Dear god, how is this possible? / How can a man die because of a goal? / I went to a game, and my home is tore down / This grief crushed my lungs / My friends who heard about it hit the roads / Dear god, how is this possible? / How can a man die because of a goal? / The path to Sivas is long / The bodies of the dead line the path / Many homes are tore down. // Lyrics and Music: Y. Tunç. Singer: Rıza Aslandoğan - Tunç Records.